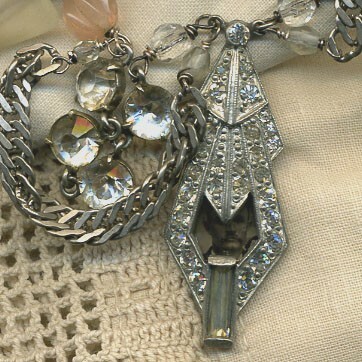 A tiny old tintype of a man peeks from this lovely vintage rhinestone pendant. This necklace so reminds me of the boy from the west side, meeting up with the glam girl from the east. 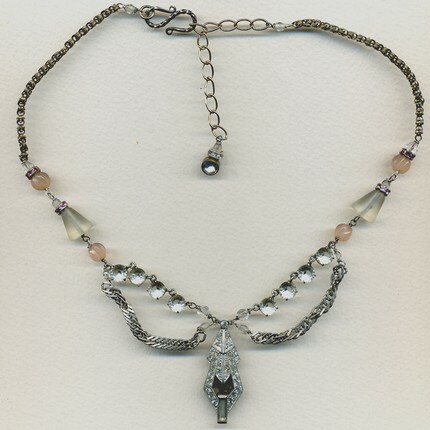 Sterling chain and beautiful old rhinestone links embelish this necklace with such style. Old blush glass beads, frosted glass beads and pink rhinestone rings. Beautifully detailed old brass box chain. 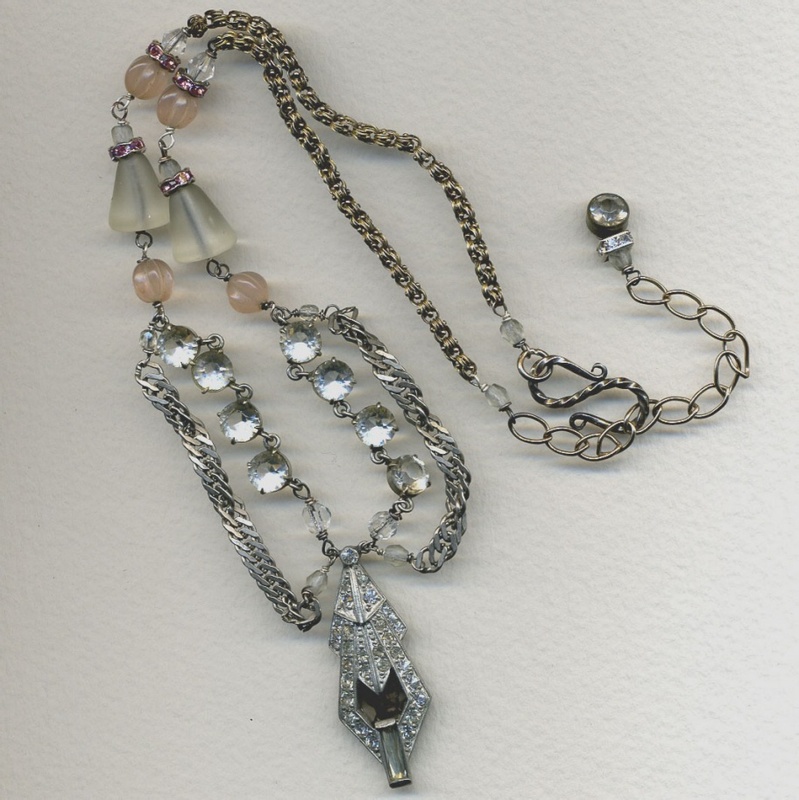 A sterling 's' hook and sterling extension links with an old rhinestone button hanging behind. 17 to 19 1/2 inches long. The pendant is about 1 3/4 inches long.